Freighter aircraft will continue to play an important role in air cargo supply chains, despite the growth in big bellied passenger aircraft fleets, and will maintain a 50-50 market share versus below deck cargo. 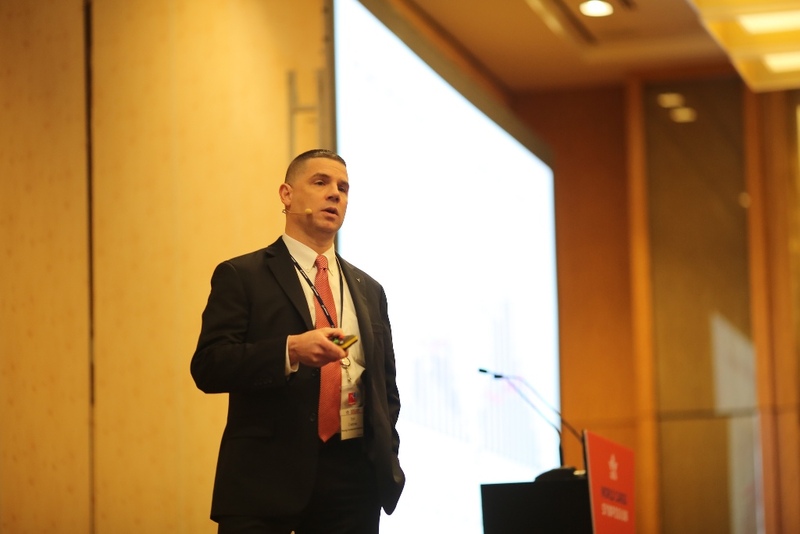 In his presentation, Crabtree said: “Most passenger belly capacity does not serve key cargo trade routes, while twin-aisle passenger schedules often do not meet shipper timing needs and freight forwarders prefer palletised capacity, which is not available on single-aisle aircraft. Crabtree said that analysis of the global trade regime suffered from a lack of data, but Boeing has invested in a number of consultancies, including the London-based maritime specialists Clarksons which estimates that the maritime sector transports 12bn tonnes of freight every year, of which only about 1.9bn tonnes is put on containerships. Citing over-enthusiastic reporting of the threat to air cargo from boxships, Crabtree said: “There is this big bogeyman of the containership that was going to take all of our cargo traffic, not only on freighters but also passenger bellies. “If you were to read the trade press you would believe that these containerships were made with a mythical material called Unobtainium and that they were so incredibly fast and you could waterski behind them. Part of its research efforts has seen Boeing revise the oft quoted figure that air cargo accounts for 1% of transported global freight tonnages, with Crabtree saying that it is “much less than 1%” while agreeing with the consensus that more than one-third of freight by value goes by air. He said that airlines operating freighters generated nearly 90% of industry revenues in air cargo. He used 2017 statistics that split the $100.2bn in total airfreight revenues into four sectors: express carriers at $42.9bn, combination carriers at $36.3bn, all-cargo operators at $9.1bn and passenger bellies-only at $11.9bn. Boeing, after amassing individual data from 800 carriers, believes that the growth in the air cargo market will be between 3.8% and 4% this year, so slightly ahead of the IATA prediction of 3.5%. And after what Crabtree described as the “great stagnation” between 2011 and 2013, in the five years since then the average annual growth rate for air cargo has been around 5%. Over the next 20 years, Boeing currently foresees an average growth rate of 4.2%. And while the Transpacific and Asia-Europe markets will remain the number one and two over that 20 year period, the rapidly-growing Intra-East Asia will jump from fifth to third place because road and rail transport are not option, leaving just boxships or airfreight. Crabtree said that of the 22,000 aircraft in operation as of year-end 2018, less than 18% are widebodied, while freighters comprise 7.6% of the world commercial jet transport fleet. The up-gauging of freighter fleet size continues, although the expansion of single aisle passenger aircraft continues to outpace the more freight-friendly medium and large twin aisle fleet. Of the estimated 2,650 freighters that will enter the global fleet by 2037, just under 1,000 will be new, production line aircraft, with some 1,670 being passenger to freighter conversions. Crabtree also made the point that “not all cargo capacity is created equal,” explaining that while the Boeing 777X passenger jet can carry eight pallets in the lower hold – “like having a Boeing 737 freighter attached” – typical load factors are around 40% to 50%. He added: “So yes, you can carry a lot of cargo, but there is insufficient capacity to some key gateways where cargo is keenly in demand, many of which are right here in Asia: Hong Kong, Shanghai, Singapore, Narita, Incheon and Bangkok, to name a handful.